“Canicas” is my interpretation of a design by Kim Montagnese. I chose to play with color going from green to purple and then to pink. The construction took several months. 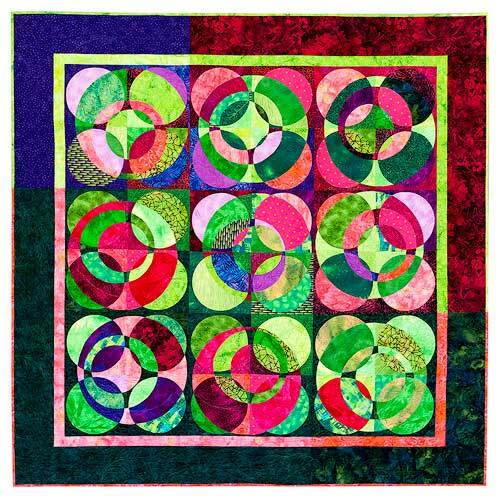 This is an intense process were you applique onto a background, then cut out the fabric from behind the applique which is made into another circle that is then appliqued to the front of another block, and then this process is repeated several times. To this process, I added color placement. 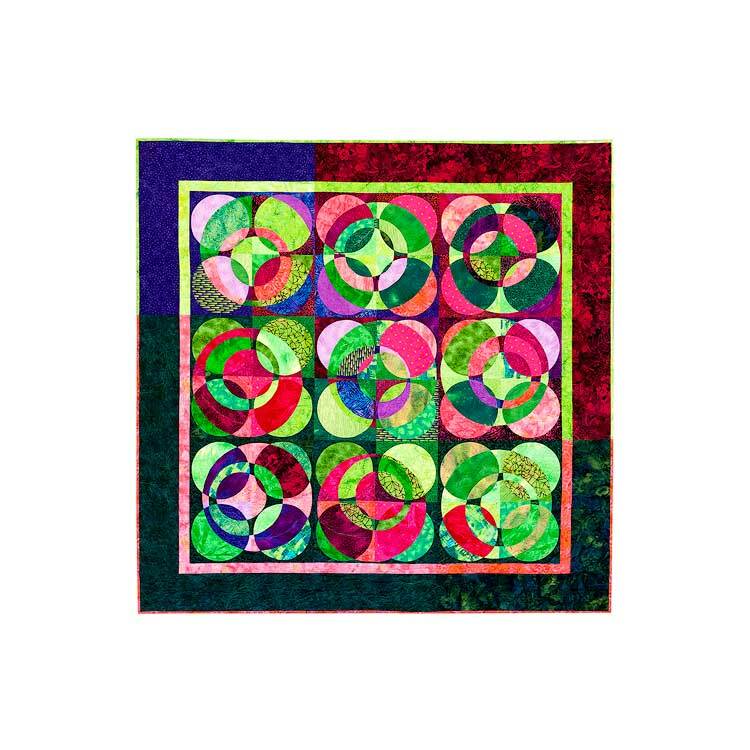 The quilting itself was a lot of fun, I changed threads many times and quilted whatever came to mind as I got to the different sections, keeping in mind that for a good design, shapes and colors should be repeated. This too took several days. Canicas is the Spanish word for marbles; this is what the “balls” remind me of. Exhibited at the 42nd Annual National Quilting Association Quilt Show. Columbus, Ohio. June 2011. Exhibited at Quilts 2012 Lake Farmpark, Kirtland, Oh. It was awarded a First Place in Mixed Technique-Machine Quilted and a Best Color Award. Exhibited at Streetboro Quilt Show 2012. It was awarded a First Place Ribbon and Best Use of Color Ribbons. October 2012.